Kids To Parks Day is May 16! Many have already pledged to celebrate by visiting parks with children, so I’m sharing some of my favorite FREE things to do in our National Parks. Family travel isn’t always easy. It takes skill to plan a delightful trip that appeals to both kids and adults. Last week, I wrote about relying on parks to find hidden gems and family travel adventures because parks are everywhere and often free or inexpensive. Here are some things you have to do while you’re there! Make your own passport book to collect stamps located at each National Park. We eventually splurged ($10) to purchase the official Park Passports. But, it’s just as fun for kids to collect the stamps in a notebook, journal or pamphlet you make yourself. We’ve collected stamps from National Parks, Wildlife Refuges, Monuments, Seashores and Recreation Areas. They’re usually found at the help desk of Visitor Centers. Personally, I think the official Park Passports are worth the $10. They list all the parks and include interesting facts that my kids enjoy. Now, that my boys are a little older, borrowing the Discovery Pack is a must. It really helps our family get the most out of our park adventures. The Discovery Packs give us everything we need to explore a certain park without having to stock up on field guides everywhere we go. The pictured Discovery Pack is the one we borrowed at Okefenokee National Wildlife Refuge. It included local field guides for plants and animals, maps, binoculars and a pack of cards featuring the most commonly sighted animals. They’re free to borrow at park visitor centers. Junior Ranger pamphlets include a variety of activities that help focus attention on the natural environment and historic features of our parks. By completing the activities, kids earn a special badge! They’re available to print on park websites or easy to pick up at a visitor center. The Junior Ranger activities really came in handy that time we were huddled in our tent on Cumberland Island waiting for a storm to pass. Giveaway is closed. The winner was chosen by random number and notified via email. Today’s giveaway includes two awesome National Geographic books, a camelbak water bottle, and a cute Buddy Bison stuffed animal courtesy of National Park Trust. Enter by leaving a comment on this post telling which park you’ll visit on May 16 to celebrate Kids To Parks Day. Winner will be chosen at random on May 1st. After you enter this giveaway, pledge to visit a park on May 16th for your chance to win a Nikon Coolpix Camera. Congaree NP in South Carolina! We will go to Chattahoochee Bend State Park. We love Kennesaw Mountain Battlefield! I wish there were more National Parks near us here in GA, but we’re lucky to have so many great state parks! We will be camping in the Mono Lake area so we will be visiting Mono Lake!! I want to visit Joshua Tree. We are heading to Assateague Island National Seashore to play on the beach and see the ponies. Thank you for the wonderful article. Chasqui Mom shared your FB post and that is how I discovered your page. I would love to visit beautiful Lassen NP! we are national park obsessed as well. We hope to spend the 16th at the Channel Islands National Park, hiking in the middle of the ocean! I never knew about the Discovery Packs, I have to see if our parks offer them. I will be kayaking/camping down the Delaware River with my 10 yr old daughter on May 16, we should be passing through 3 if not more parks along the Delaware River Heritage Trail and N.E.PA’s State Parks. I don’t know which park I’ll be visiting on May 16th, but I have pledged to do something with my child on that day. My family loves & supports National Parks. We have are annual Yosemite NP reservation set for July…can’t wait! Thanks for the Discovery Pack tip. We’ve done the Jr. Ranger thing but my kids are getting older now and the Discovery Pack looks like a great fit. We just moved and have a new park with a dog run and a playground! We are excited that the WHOLE family can go to the park now. All we have to do is wait for the rain to stop! We will be visiting Starved Rock SP. My son I at the age where he is starting to appreciate nature and loves hiking! Thanks for all the great info on the discovery pack and passports! We plan on visiting the Appalachian trail and Vogel State Park. We will be visiting Smoky Mountain National Park. We’ve never visited Valley Forge before. We plan on visiting Sweetwater Creek State Park. We love visiting the national parks. Thank you so much for the tips. I didn’t know. We have planned to visit the Sand Dunes the weekend of May 16th. Awesome! The Junior Ranger program and Discovery Packs should come in handy for that trip! I would love to take a road trip to Great Smoky Mtns (home! ), but we will probably be closer to home at Kennesaw Mountain. Great giveaway and I love the info! Thanks for the info re: the discovery packs. I had never heard of them. I work on that date but we hit up national parks all the time. 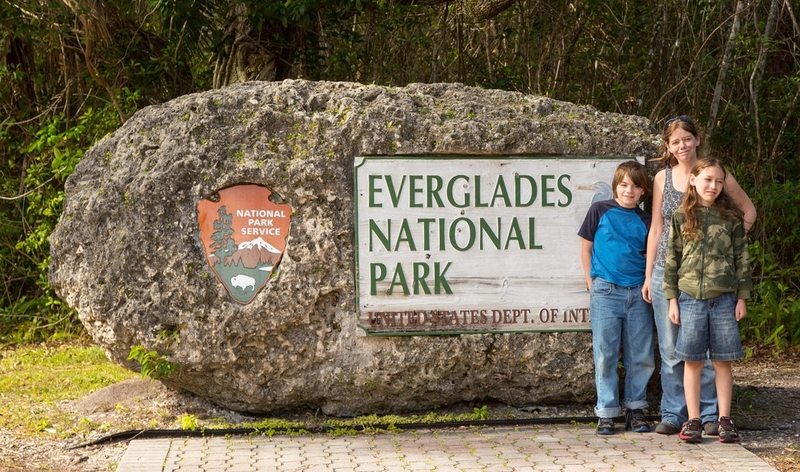 We are planning a trip to Biscayne National Park! It should be fun! We are camping at a state park that weekend but will be going to the smoky mtns not long after that! We will be going to Galveston island park.